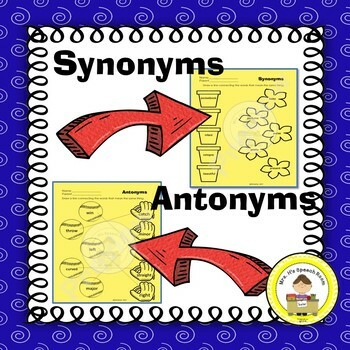 May Speech Therapy Fun from Mrs H Speech Therapy Room! I created this resource for those of you who loved the freebie companion resource! 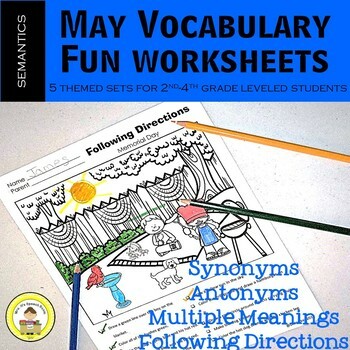 This product covers synonyms, antonyms, multiple meanings and following directions at the 2nd to 4th grade levels. 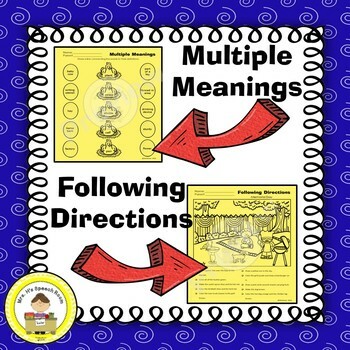 I will be using these will some of my middle school students who are on the Autism Spectrum and need higher vocabulary in an easy to navigate worksheet. Hope you enjoy them!! Themes included in the May Edition are : Mother's Day, Baseball, Farm, Circus and Memorial Day !! Some of these sheets are also included in the corresponding holiday printable packs.